In the air & on the ground ...AmSafe Bridport take care of all your MRO and aftermarket requirements. Excellent workmanship Each repair is delivered with qualified materials and excellent workmanship. Part 145 approved repairs Worldwide coverage, dual release, Part 145 Approval, Quality, Expertise. AmSafe Bridport will maintain, repair and overhaul your safety critical equipment to the highest industry standard and quality. Use our parts database to search our capabilities and send us a specific enquiry or fill in the box below and we'll get back to you! 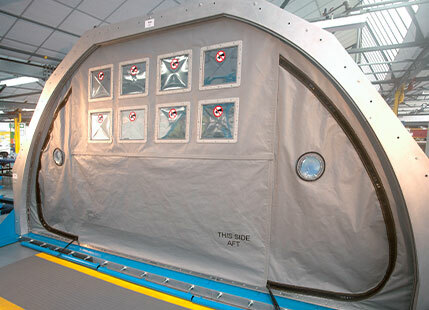 AmSafe Bridport is your prime MRO provider for the on-going maintenance and repair of your textile safety equipment. 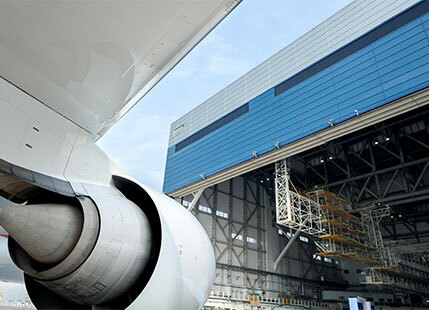 With over 40 years of experience in MRO, our repair service ranges from inspection & clean and minor repairs to full overhaul and re-web – depending on the product conditions and your requirements. OEM supplier to the industry, our dedicated Part 145 approved MRO repair centres, located in the United Kingdom and North America, offer experienced technicians, stock availability, dual release, fast turnaround, times and cost savings. Worldwide coverage, dual release, Part 145 Approval, Quality, Expertise. Click here to download our certifications. We support the requirements for almost every major operating airframe. We ensure each repair is delivered with only qualified materials and excellent workmanship. 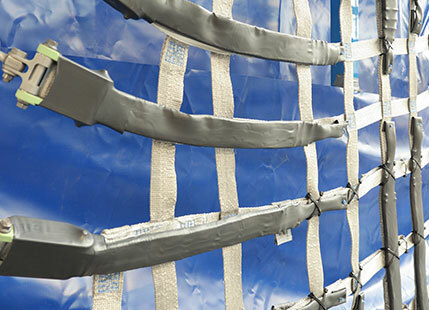 Our engineering expertise allows us to develop new repair schemes on request. 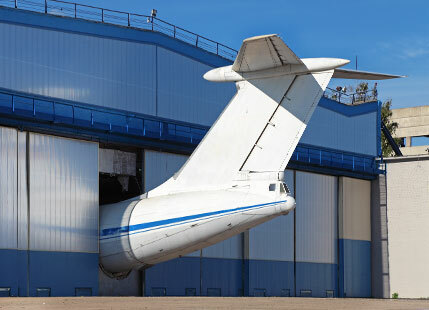 Our strategic partner Satair will support your aftermarket spares requirements for cargo hold products as well as Airbus cargo hold nets. 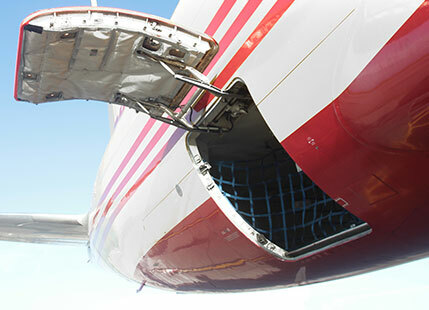 Satair also stock a huge range of AmSafe Bridport manufactured cargo hold nets, liners and panels for other commercial aircraft. 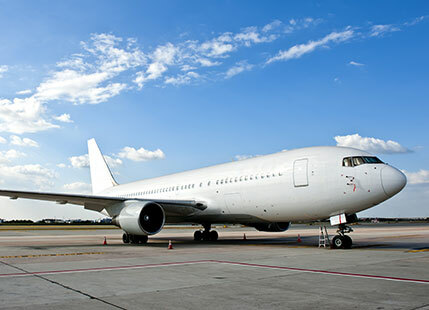 We also offer Escape Slide and Oxygen Cylinders for Commercial Aviation. Our strategic partner, Satair, offers a second-to-none global AOG Service, in order to keep your aircraft flying around the clock. Our standard warranty on repairs is 12 months. Our typical repair turnaround time (TAT) is 7-10 working days for Slide Repairs and 10-15 days for Net Repairs and Panel Repairs. What is the delivery time for spare nets? What is the delivery time for PMA Escape Slide and Oxygen Cylinders? We hold an extensive stock that are available for immediate delivery. How can I find out about fixed price repairs? I’m in Chile, where can I get my part repaired or a spare product? What type of release documentation do your repairs come with? All AmSafe Bridport repairs have dual EASA and FAA release. I don’t like speaking to a robot… who can I get in touch with? Contact us at [email protected] and one of our sales team will get in touch with you. AmSafe Bridport is exhibiting at the MRO Middle East on 8 – 9 February 2017. Don’t miss this perfect opportunity to discuss your requirements and see our range of products and systems. The Event: MRO Middle East, co-located with Aircraft Interiors Middle East (AIME), is the Gulf region’s leading conference and trade show for commercial aircraft maintenance. This is the one opportunity you have in this region to discover the crucial issues impacting the MRO industry today and to engage colleagues, customers, peers, and competitors from all segments of the business. Network with the people that are fostering growth in the region, developing cutting-edge technology, and pushing the MRO industry forward. MRO Middle East’s specific focus on commercial aircraft MRO ensures the buyers and solution providers you want to meet will be there. It is the perfect place to meet new contacts, expand business networks, discuss new trends and technological developments and to source products and services. To complement the design service, manufacture and in-service support, our strategic partner, Satair, will support your aftermarket spares requirements. Satair is our exclusive global distributor for Aftermarket Spares & AOG Service. 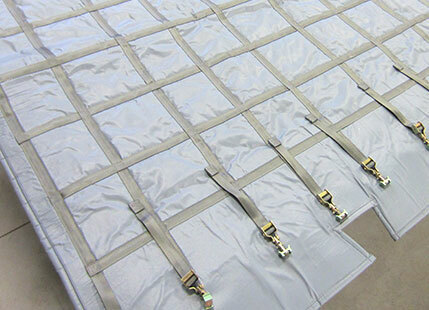 The service covers our manufactured bulk cargo nets, liner panels and covers primarily for Airbus and Boeing fleet operators. 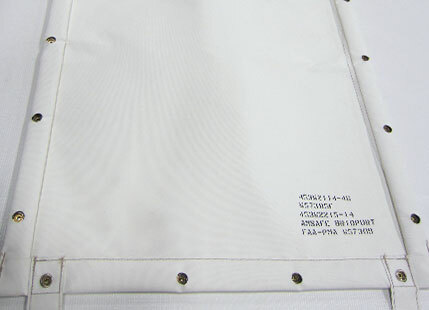 We provide an aerospace MRO service for all your OEM Belly Hold safety restraint equipment, including Cargo Liners / Panels, 9G Main Deck Barrier Nets, Smoke Curtains, Sliding Carpets, Escape Slides, Life Rafts, Vests and Inflatable Safety Equipment. With over 40 years of experience, we maintain, repair and overhaul your safety critical equipment to the highest industry standard and quality. 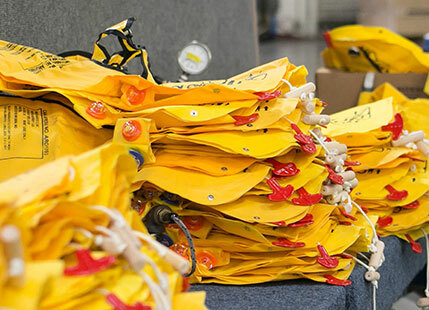 On-site engineering expertise with EASA Design Organisation approval enables a repair pack to be written, if the OEM specification is unavailable. 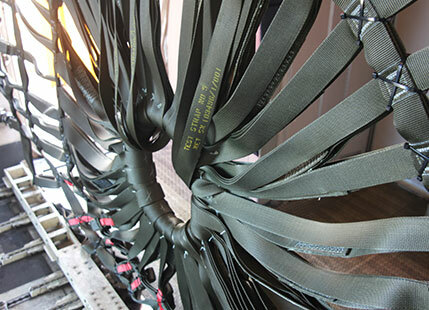 We support ongoing maintenance and approval of the main deck barrier nets through their life cycle with the ongoing qualification of the test straps, enabling us to provide all options for your equipment towards the end of its certified lifetime. Our Part 145 approved repair centres, with dedicated repair teams and stock availability, ensures materials and processes are followed in accordance with original manufacturers approvals. Our aviation escape slides and emergency oxygen PMA cylinders offer significant price savings compared to the OEMs. This, coupled with the AmSafe Bridport ‘in-stock’ promise, offers the ultimate combination of lower price and immediate availability. Whilst OEM lead times can exceed 12 weeks, we will meet your global requirements in a shorter time frame. Using our established distribution network, we can provide an approved replacement, meeting a sensitive delivery requirement at a very competitive price. 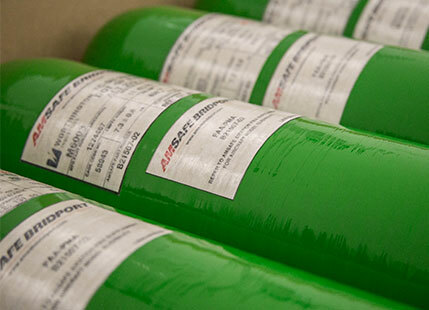 Oxygen PMA cylinders, providing emergency oxygen to passengers and crew. As with our escape slide cylinders, our PMA oxygen cylinders are manufactured in the same facility and replace AVOX, Scott and BE Aerospace steel and composite cylinders. 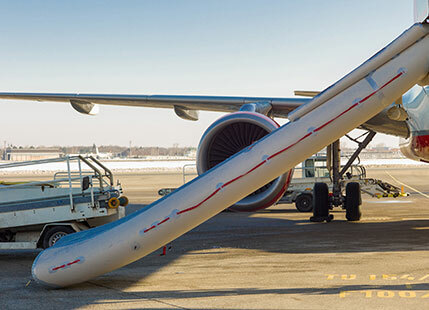 Our experience and quick turnaround times are the reasons you can trust us to maintain and repair your aviation escape slides and equipment. 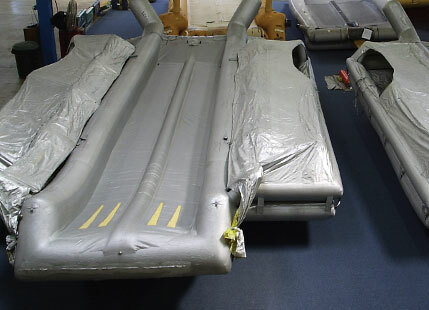 Repair station capabilities include virtually all escape slides and rafts in service on commercial aircraft. We carry a full line of replacement parts and can assist with your maintenance and overhaul services. 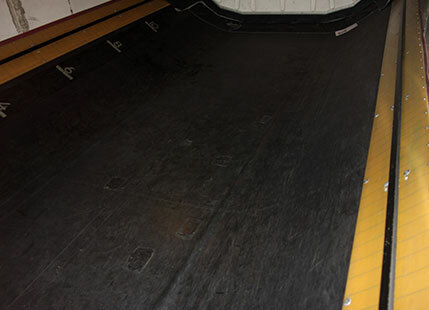 We have extensive offerings of Kevlar, carbon and steel cylinders. Exclusive ‘flat-rate, fixed pricing’ option available. 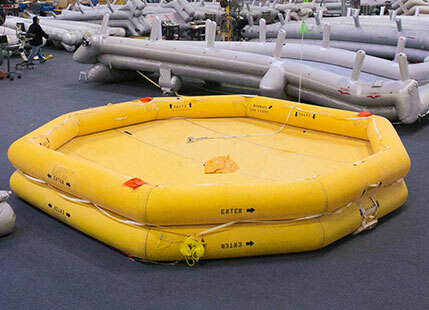 In Anaheim, California, our escape slides and equipment facility is the leading and largest Independent FAA Part 145 Repair Station specialising in Aviation Inflatable Safety Systems. We have the capabilities to overhaul and repair virtually every escape slide, life raft and life vest flying today, as well as providing a full line of PMA approved escape slide cylinders and oxygen system cylinders to support our ‘industry’s quickest TAT’. 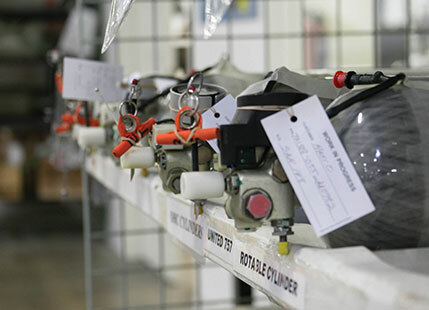 As Original Equipment Manufacturer (OEM) for this range of products, you can be assured that all aircraft repairs use fully certified spare parts and original manufacturing processes, compliant with EASA Part 145 repair approvals. Services & Capabilities Fleet: Airbus, Boeing, Bombardier, Embraer, Saab and Sukhoi. Quality repair with the quickest turn around. Benefits of an OEM manufacturer for your aftermarket needs. From quote to dispatch we will keep you informed of all the work taking place on your equipment.